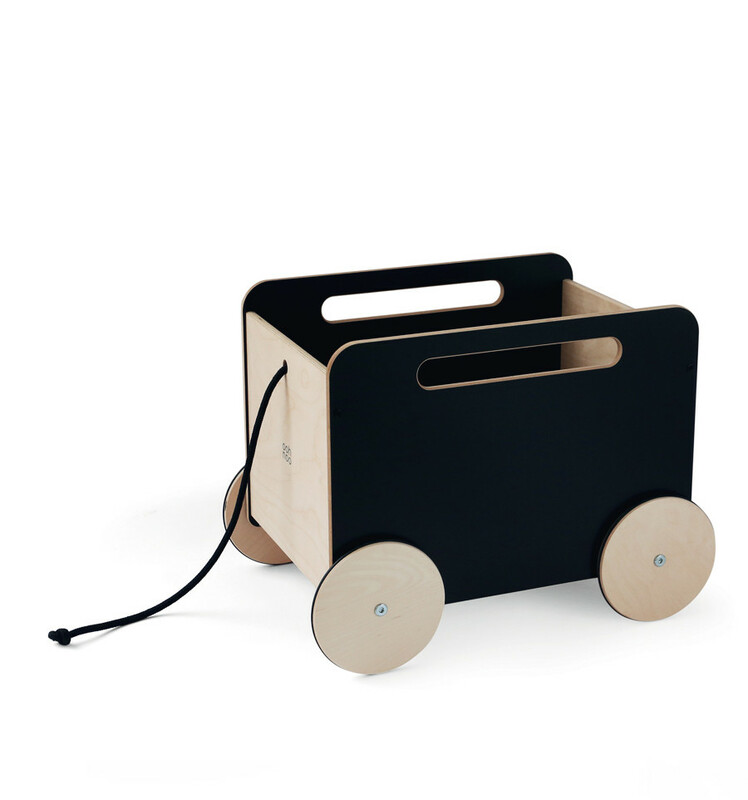 Our favourite Toy Chest is now available with blackboard sides. Our Black Toy Chest looks exquisite in any monochrome kids' bedroom or playroom. Or in any room in your house. Our Toy Chest is already a favourite among kids (and plushies!) and now with black sides, it has the added attraction of being a drawable surface. We've taken the same great design of our toy pram and applied it to the concept of a toy cargo wagon. This handmade wooden Toy Chest is a simple wagon and comes with a rope so that you can pull it along or attach it to other wagons. Is it a toy that functions as a storage bin or a storage bin that functions as a toy? The answer is sure to be different whether you ask mums or their children. All we know is that it is sturdy, spacious and elegant at the same time. Wipe the blackboards size clean of chalk with a damp cloth. Wipe any dirt or spills from the rest of the toy chest with a damp cloth. This will remove grime from general use. Tougher stains like food or colour may be difficult to remove. The blackboard sides are only meant for use with chalk, not with marker or pencils.